I recently interviewed the twenty-seven-year-old Nikkei artist Mariko Konno. We went to the same primary school, all those years ago: SJS or the Sydney Japanese School. It’s a Japanese international school in Sydney, and Mariko and I were in the international class which was made up of Australian kids – perhaps half or so of whom were half-Japanese like Mariko and myself. I had seen Mariko’s work on her facebook and was curious about how her Japanese Australian identity shaped her work. We met at the Lord Gladstone in Chippendale where Mariko had spent the day creating a street art mural with a local group of artists. When I met Mariko, the blue and purple colours of the underwater theme spanned the entire courtyard and spilled out onto the wall outside the pub. Mariko’s work depicted a yin and yang symbol along with a bust of Bruce Lee next to a quote from him: ‘Water can flow or it can crash. Be like water, my friend.’ We found a quiet spot to talk about her work and her Japanese Australian identity. Can you tell me about what you painted today? Today was an underwater theme with street art graffiti. We have a group of young artists called Stayfly Sydney. The group mixes hip hop, graffiti, street art, and also jewellery and markets; it’s all intertwined. A lot of it is very much female empowerment – gender equality is encouraged, and we support Indigenous Australians as well. It’s all a hip hop-esque theme within that group, so we all love music. 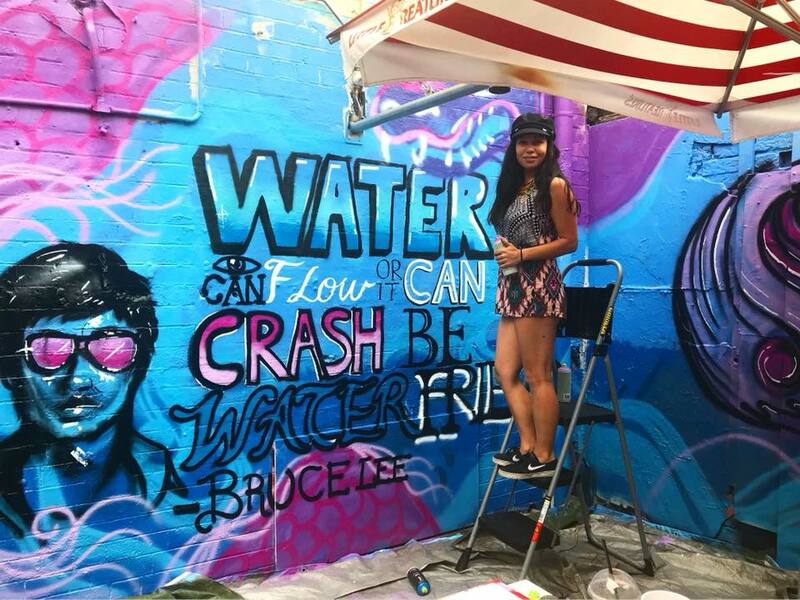 Today was one of many of Sydney’s street art events. Illustrators and street artists get together and do the walls on a Sunday, that’s what we were doing today. We were given a theme and it’s really good exposure because a lot of well-known street artists from Sydney and Australia start out here in this area. Can you tell me a bit about your work as whole, like what kinds of themes you like to paint on? 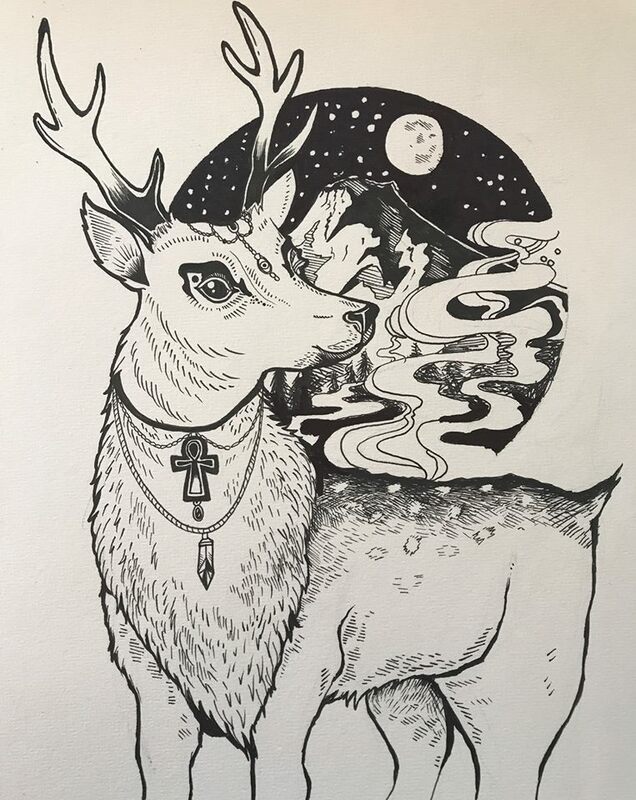 I was always into fantasy and children’s illustrations and characters, and I think being partly Japanese, I’ve also been influenced by anime and traditional tattoo illustrations. I just put all the different interests that I love into my work; it’s always fun and lively. 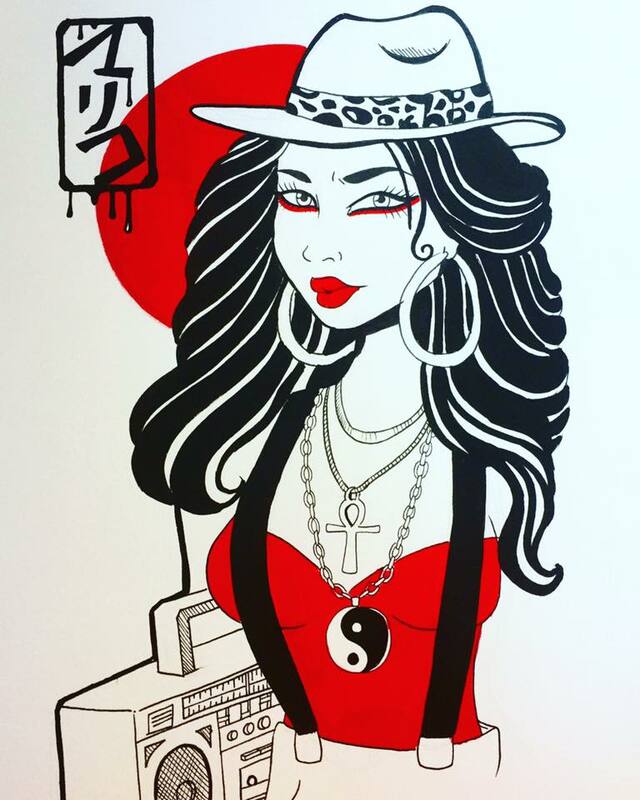 I mix painting, drawing, and street graffiti art. I always incorporate my cultural heritage and also my own personality – I probably do that subconsciously, without thinking. 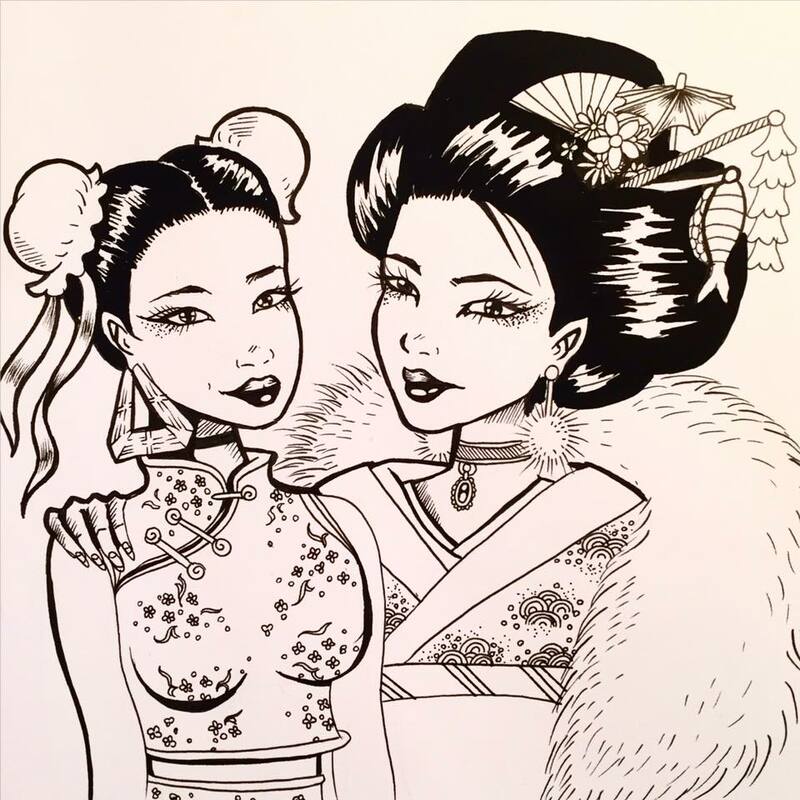 I’m drawn to a lot of different cultures, so I incorporate symbolism and certain themes from other contexts. You mentioned that you put your ethnic identity into your work. In what ways do you do that? I guess I use symbolism. I grew up with a Japanese father and Scottish mother. So I’ve always been interested in fantasy: that comes from Celtic and European influence. Like Celtic art, a lot of my work has fine detailed lines. And also with Japanese symbolism: I’ve always been interested in Buddhism and philosophy. I’ve referenced images from growing up and being in temples. I always try to incorporate something, whether it’s the Hokusai wave or something else. I try to develop this cartoon style art. It’s too much eclectic stuff and I just try to put it in there! But I think that’s great! From some of the stuff of yours that I’ve seen, it seems that you have a lot of representations of ethnic women? Absolutely. Growing up watching cartoons or movies, or reading magazines, I could never really relate to whoever was on there because a lot of those mediums were drawn to more Caucasian features. It’s only now that more women of colour are being represented. Now you can feel less insecure about your looks or about being an outsider because you don’t fit the typical stereotype of what is considered beautiful in the Western world. I was always drawn to hip hop and African American culture, and also Latin America – because they embrace curves among other things. So, a lot of my work is based on a need for something different. I think it’s really interesting that you’re going through hip hop and US cultures and identities around people of colour. How do you find channelling that in Australia? Luckily, I grew up in a multicultural city – Sydney. I grew up quite happy living in Sydney because I had many friends from different cultures. But I still felt like an outsider in a way: in high school, where there were a lot of white Australians, people didn’t understand certain things about my Japanese background – whether it was my lunches, or how I dressed, or what I was interested in. It’s only until later that people have gravitated towards people of different cultures and multiculturalism, because people have travelled. A lot of people I went to high school with would make fun of me when I was younger, but now that they’ve travelled to Asia they kind of understand the culture, they really embrace it so much as an adult. So, I feel more accepted as an adult than I did as a kid. I think I had a really similar experience going from Sydney Japanese School (SJS) to an Australian high school. I went to Gosford high, and I was one of like five Asians or something – so I had to hide my Japanese identity. We were kind of sheltered in a way. It didn’t really prepare me for high school, because it’s hard to be proud of yourself when people put you down because they’re threatened by things they don’t understand. My wall today is based on a Bruce Lee quote, which I really love. He’s a pioneer of breaking down cultural barriers at a time when it was really difficult for Asians in cinema let alone the Western world. He broke down stereotypes, he portrayed strong Chinese culture, so that’s one of the reasons why I put him in my wall – because that quote always stood out for me. I always look to Bruce Lee because he mixed Western ideals and Eastern philosophy. Even though he was getting criticised from Asia and the US, he was finding the balance between the two – like yin and yang. SJS is such a unique experience, there are so few of us and so few people experience this kind of thing – especially in Australia. How do you think your experience at SJS shaped your Japanese Australian identity? Both of my parents are from overseas, they’re not actually from Australia. So, I’ve been really cut off from my cultural roots, and Dad was always working all the time – you know he’s a typical Japanese salary man. I was taught (at SJS) so much about my culture and embracing who I am, and it laid a foundation for my heritage. If I had have just gone to a normal primary school I think I would have completely lost who I was. I learnt about the festivals, and the language, all the cultural references, and I interacted with Japanese kids. It was a great experience because that set me up for life. I don’t have to be like, ‘oh man I wish I went to Japan.’ I was really lucky because I got this experience to understand my culture as a young child. So you went to high school, which was a very different experience. And then later on, and I think this happens to some people, you seem to have come back and rediscovered your ethnic identity. How did that happen for you? I also struggled because I felt more white or Caucasian – you know my Scottish side or Australian side – I was more included in that. So I struggled to really belong in a Japanese environment as well. Because of my personality: I was very loud and not what a typical Japanese girl would be like. Also, my looks: people don’t think I look or Asian or Japanese at all sometimes, I often get Mexican and whatever else. I felt like I wanted to belong to that Japanese part of me in some way, especially after what happened to Dad’s home town [Mariko’s family suffered the horrors of the 2011 Tōhoku earthquake and tsunami]. I felt like I really needed to not let this go, I still want to include it in my work and my life. So that was quite an important event for you. Yeah, especially losing the home town, and so many people past away. It was really one of the most traumatic things I’ve ever experienced. I can’t even imagine what they felt like, but for me that would be the worst thing – especially because you lost all your family and all that. My uncle, my grandfather, and my dad are huge historians. My uncle was working as a tour guide in Egypt and he studied war history in England. So, I come from a very proud cultural family. We are from a very small town in a coastal region of rural Japan. The traditions are kept up firmly, it’s not like Tokyo or anything. Cultural Identity is a huge thing in my family, so I wanted to preserve that for the next generation – in my family or wherever. After that event, I felt like it was very important that I come back to my roots. Sometimes that’s just about eating the food. My Dad is from Rikuzentakata, there’s the emblem and the symbol. I have the stickers and I always try to support my dad’s home town as much as possible. 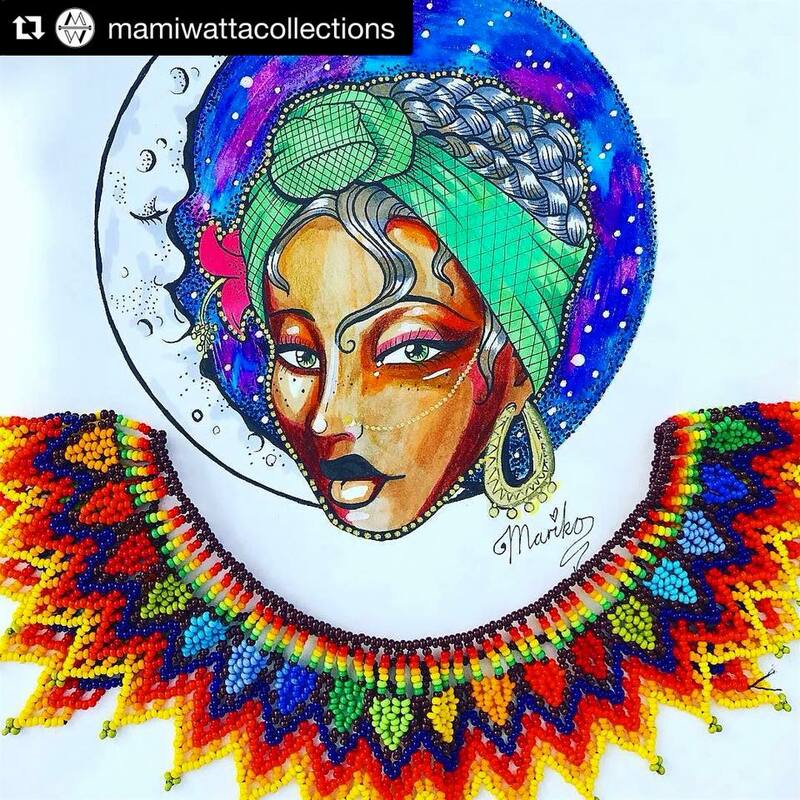 Do you think art is something that can contribute towards creating cross-cultural connections between people? Absolutely. I think art, music, and culture can really influence people’s perceptions of life and other cultures by getting to the heart of feeling. I see a lot of people who are quite racist, but they have like a Buddha statue in their backyard. A part of them does want to be peaceful, and they like the idea of Buddhism. They don’t understand the real roots of it and the philosophy or teachings, but a part of them probably does feel drawn towards it all. If they talk to someone from Asia who practices Buddhism then they might think, ‘I actually wouldn’t mind going to that country.’ People need to be educated and start appreciating differences between cultures. It seems like your art allows people to be intimate with difference. Because I mix my mediums and themes – I make it fun – I wouldn’t say mine is fine art that you would see at the Archibald. It’s things that the average person can gravitate towards, like cartoon-like illustrations, simple lines, details, and things like that. That’s what I do, I make people feel uplifted and really appreciate the beauty of different cultures. I did a lot of Indian style illustration, and I used the jewellery and people were like ‘oh, it’s so intricate.’ I want people to see the beauty of different cultures. How important are Japanese religious of spiritual ideas to your Japanese Australian cultural identity? From a young age, when I was about five or six year old, I was exposed to seeing statues and practices in Buddhism and Shintoism in my Dad’s hometown. I loved the connection between Earth and nature to man in Shintoism, as well as the appreciation of life. I always put animals and the moon and the sun and natural elements of the world in my work, because of that reason, because there’s so little appreciated about those things. Everything has a meaning; whether it’s the stones or the trees, they are symbolic, and it’s important to appreciate the simplest things. As a child, I was also drawn to animals and nature, so a lot of my art represents that. Now that I look deeper, I can see how important it is to Japanese culture as well. I was wondering if you are part of any Japanese Australian communities, or not, and, if you were, what kinds of things do you appreciate about that community or what kinds of things would you like to see more of? I still keep in contact with my Japanese school friends. I really appreciate that friendship. That’s not like an organised community or anything, but I am really happy and proud that I’m still connected to people who grew up in a similar way to me and know my history too. As for organisations, I grew up with the Japanese swimming lessons and stuff when I was younger, but as an adult I sort of grew apart from that. I think the things that I’m interested in now are little different. Maybe when I get older I might come back to the community. I would love to embrace what modern, young Japanese people within the groups and community are doing. For example, what we are doing now: I would love to share my own twist on my heritage. It’s a shame that I don’t practice ikebana or some other really beautiful art, but I gravitate more towards the average person my age or younger – the youth. Do you know Goro’s? It’s a bar in the city. It’s like a Japanese rock and roll bar. It’s really cool. I’ve been to a lot of Japanese-esque places, but Goro’s has got a lot of Japanese pop culture like the arcade games, and in the bathrooms they have wallpaper of old-school Japanese baseball players, and food, and murals, and events, they have little funny facts about Japan, and whiskies. It’s amazing to have the beautiful traditional side, like calligraphy courses and things like that, but it would be kind of cool to have that element of something different like pop culture and stuff within the community. A lot of Japanese people who come here don’t see themselves as Japanese Australian but as Japanese living in Australia, and this creates a separation between Japanese culture and Australian culture. I was wondering about how you identify; what kinds of words would you use to identify yourself? I guess: unique? I try and say positive words, because I do feel that I have to create humour around my own cultural background: ‘I’m Scottish Japanese and oh I live in Australia, what a weird mix.’ I think it should be more embraced. If we can look back at what Bruce Lee did, he wasn’t dividing Chinese and Western cultures. He was saying, ‘I’m a human being, I just come from this other country.’ We should embrace the positive things in our cultures together. For example, Australia’s great for having a good lifestyle, great appreciation for getting outdoors and being active. We’re really laid back and quite friendly and welcoming, there are some positive aspects to Australia. Then there’s the Japanese side: tradition, great philosophies, appreciation for the simplest things, details, intricacy, they’re hard working. There’s so many beautiful things, instead of the negatives we should embrace the positives. What’s really cool is that there are some Japanese people who come over here specifically to surf or something. They put that Aussie surfing lifestyle culture together with the Japanese work ethic and discipline, so they become really good, they become so obsessive and proud. I think it’s a really good thing, mixing them both.